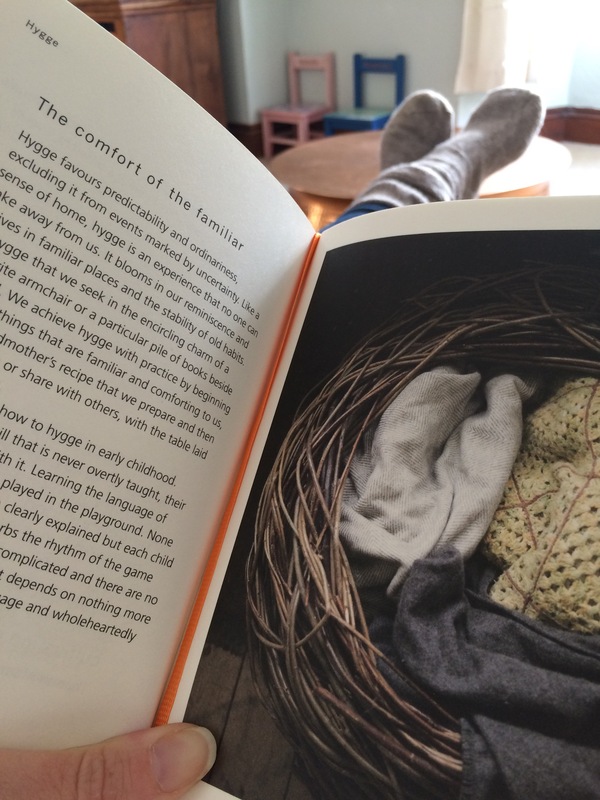 First impressions are that The book of hygge by Louisa Thomsen Brits is an earnest one. The cover is sleeveless, of simple design and without pictures. Hold it in your hand and the paper of a thick quality that says that this is serious business. What this book is not is a coffee table book. There are occasional pictures, each one beautiful as if selected sparingly and carefully considered. The pumpkin orange ribbon says “slow down. You’re not going to read this in one sitting. Take Your time.” I can see myself using this book as a reference and source of inspiration to pick up and put down and the structure of this book makes that possible. Divided into six sections ; belonging, shelter, comfort, wellbeing, simplicity & observance I quickly notice that each would feature on the lower rungs of Maslow hierarchy of needs and as this model pertains, these are all states of existence that should be satisfied & maintained before any higher status in life can be achieved. 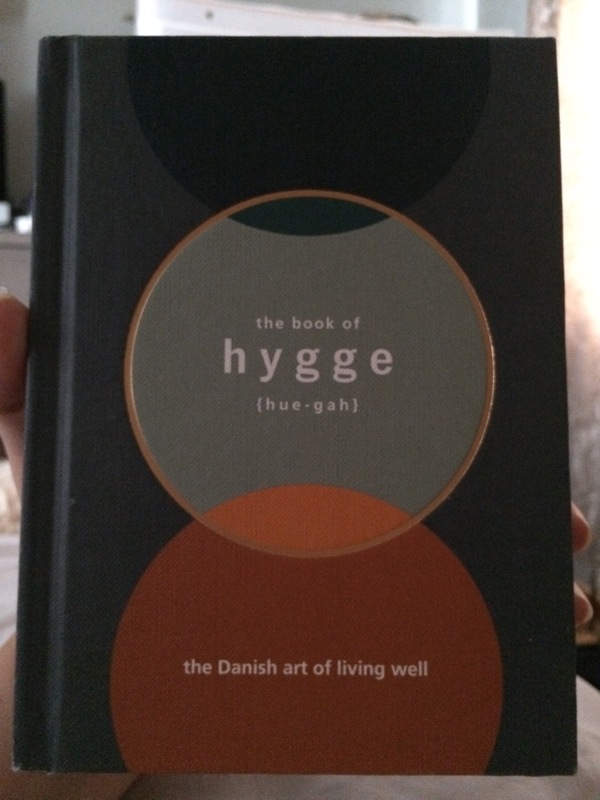 In a year of living hygge, I often felt that hygge was something that was on loan from the Danes. As we say on our own website, hygge isn’t just for Winter and isn’t just for Danes. As Brits, we always knew how it felt but never had a word for it and I am grateful to Louisa for reinforcing this. In her Note from the author we have an instant list of examples of how Louisa lives a hygge life – all year round and across continents. Her wish for her readers is that they too will “discover hygge that already exists in their life and become attuned to its presence” and sharing these well wishes are hygge in itself. I think this is why this book bears no images on its own front page. Louisa wants to tell us that hygge is a very personal thing. There is no prescribed lifestyle. 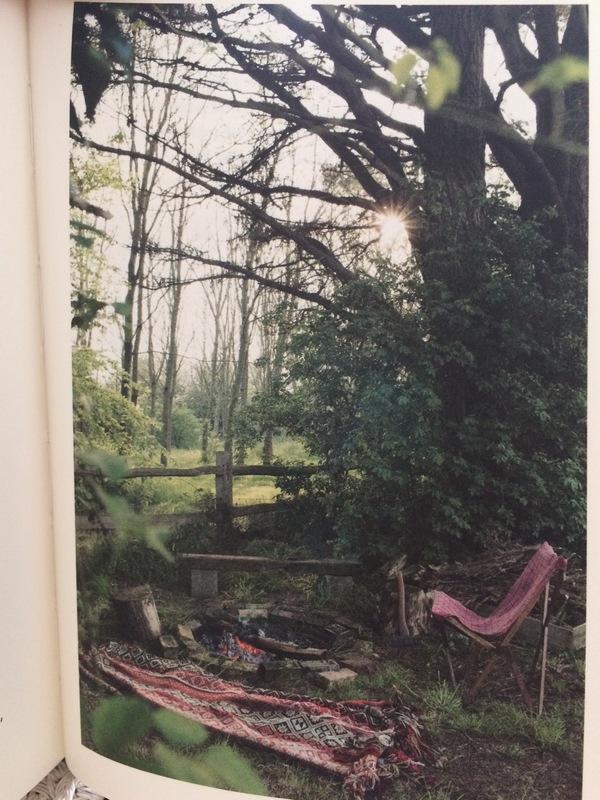 Frequented by quotes as carefully selected as the photos themselves, interjected amidst intelligent prose, Louisa examines hygge from a variety of angles; togetherness, independently, familiarity, architecture, home, time management, choice, celebration, ritual & craft to name but a few. If anyone thought that hygge was just about candles and hot chocolate it’s an education. Instead, we are gently guided through the symbolism of candlelight and beyond to finding hygge in everyday life. I’m reminded of mindfulness & the law of attraction, which are, in my mind both cousins to hygge. I’m also pleased to have the use of hygge demonstrated in various forms of the eight parts of speech; as an adjective, a verb and a noun in itself. I’ve often wondered if I may have attracted any Danish scorn in my own writing. Thankfully, it would appear not. That settled, I conclude that if hygge is all about mindfulness, and about being & not having, which I happen to think it is, then in this fast paced life of have and have nots, hygge is a very serious business indeed. 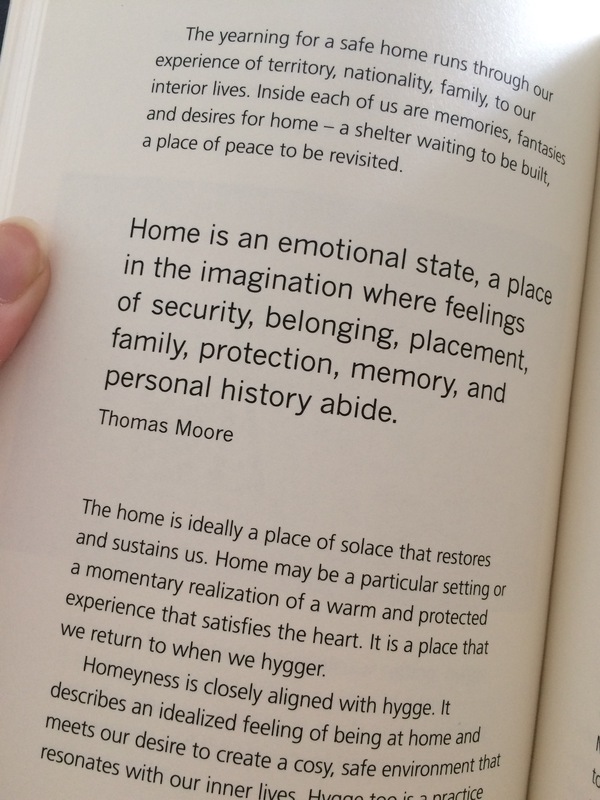 The Book of hygge is a very handy manual for life itself, a perfect coming of age accompaniment as well as a reminder of what’s important to those in their prime. Everyone should have one.